CUPE 1281 is gearing up to mount a significant fightback against Doug Ford and his government “for the people” that has been anything but. Members at our Local are deeply impacted by the so-called “Student Choice Initiative” and we’re pushing back against this right-wing policy – hard! We’ve created this page to better keep members up-to-date on our efforts to fight the Ford Agenda. Check back regularly for resources, updates about upcoming events, and more! Want to add something you know is happening in your area to the page? Send a message to our Communications Officer and we’ll get it up! Still not sure what the Student Choice Initiative will really mean? 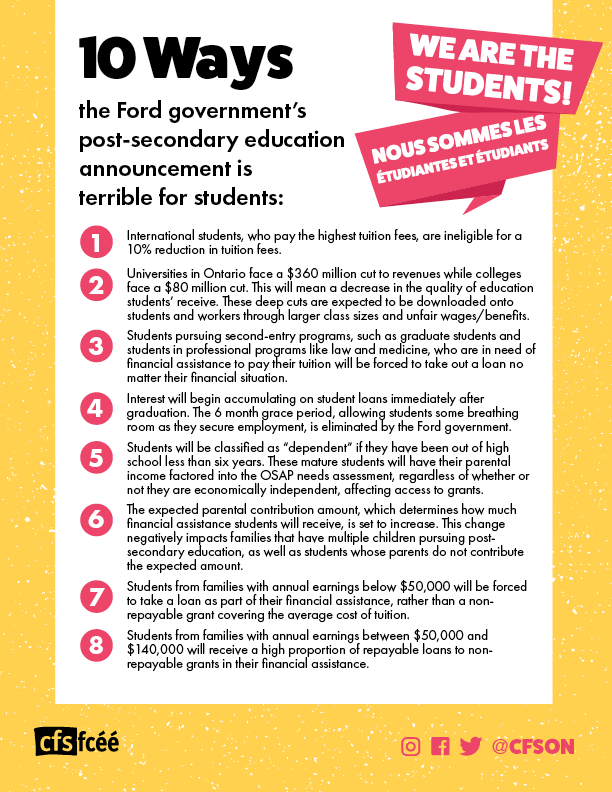 Here’s 10 ways this will negatively impact students in Ontario! Send a letter to your MPP, especially if they’re a Conservative. Politicians need you as much as they think they don’t! Without your vote, all the money in the world couldn’t save them. Reach out to your local MPP and let them know you don’t agree with Doug Ford’s cuts. Not sure who your MPP is? You can find that our here! Sign a petition! 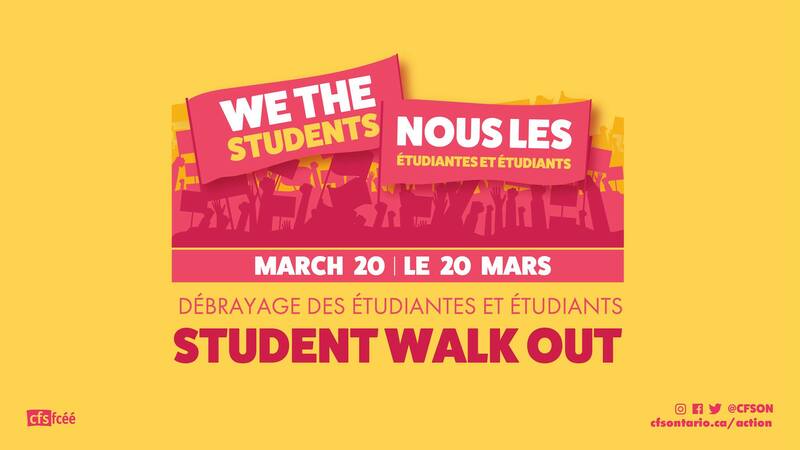 Many are currently circulating around university campuses and on Facebook. Sign them all if you can! 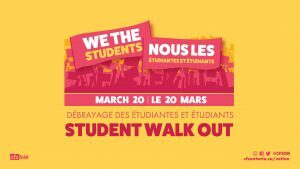 Join the Walkout on March 20th – more details can be found under “Upcoming Events”. Reach out to the Local – we’ll be booking off member-mobilizers and other roles to assist us with our fightback. Interested in getting booked off to help out? Contact the Local’s Vice-President, Denise Martins. As we draft material for our campaign to Fight Ford, we’ll list it here. Need talking points for class or to talk to other workers on campus? We got those! You can also view a recent press conference we attended to speak out against the impact of these cuts.